The Third Tunnel of Aggression is one of four known tunnels situated within the Demilitarized Zone (DMZ) separating North Korea and South Korea. Located more than 70 meters beneath the ground and at 265 meters long, the Third Tunnel of Aggression is a highlight of any DMZ tour. The tunnel was built by North Korea in the 1970s, who initially denied its existence when South Korea discovered it later. The North were then said to have claimed it was a coal mine, before it was revealed that they had dug the tunnel in order to launch a surprise attack on Seoul. The South eventually took control of the tunnel, blocking off the demarcation line with the North via concrete barricades. Although the Third Tunnel is now very much a tourist site (there’s even a gift shop near its entrance), it still remains guarded and taking photography is forbidden once inside. The tunnel passage is dark, long, and narrow, and it’s a steep incline to access it. The DMZ can only be accessed via authorized shuttle buses and tours. There is also a dedicated monorail that serves the Third Tunnel area. Gain insight into the history and culture of the Korean Peninsula on this 8-hour Demilitarized Zone tour from Seoul. 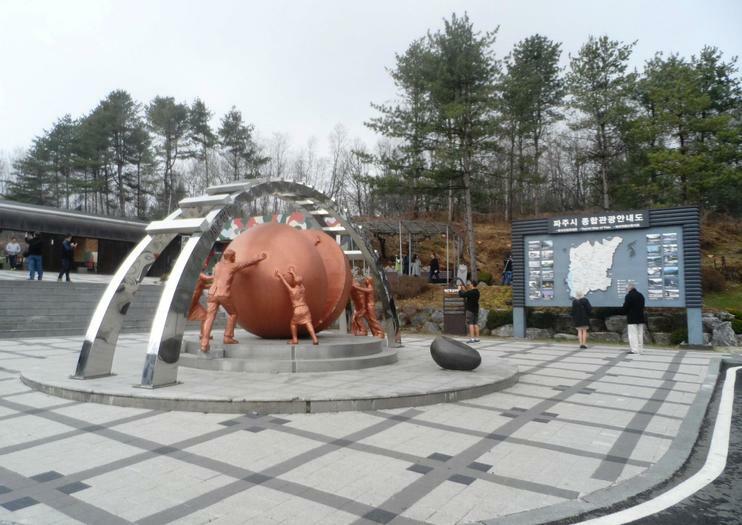 Explore the DMZ — the focus of tensions between North and South Korea — with a guide. Take in top sites of interest including Imjingak Pavilion, the third infiltration tunnel, and Unification Bridge, which was used for prisoner exchanges in 1953. Gaze over the North Korean propaganda village from the Dora Observatory, then enjoy lunch before your private tour concludes with a visit to N Seoul Tower. Want to immediately feel the tension of being in the military border and know more about Korea "Two countries that are still divided into North and South". With service from our tour, you will feel the excitement of traveling around the border area and learn more about Korean history and the possibility of the union of two countries.This is a private tour only for you and your family and friends.With our private english speaking guide.Please bring your PASSPORTHighlight:- Odusan Unification tower- The 3rd Infiltration Tunnel- Dora Observatory- Dorasan station- Imjingak, Nuri peace park.